The Pharmacists' Defence Association (PDA) has launched a survey after "a number" of GP pharmacists reported being "put under pressure" in their surgeries. These pharmacists are facing pressures because "GPs have raised expectations about what the pharmacists can do for them", PDA chairman Mark Koziol told C+D yesterday (June 26). "As a defence association, we are concerned about the lack of an adequate supervisory support structure for clinical pharmacists in GP practices in some parts of the UK, and we are trying to do something about it." "This benchmarking survey is part of that work," he added. In 2015, NHS England announced a pilot to recruit an estimated 490 “clinical pharmacists” across 650 GP practices. The following year, the commissioner pledged over £112 million to get an extra 1,500 pharmacists into general practice by 2021. Launching the survey last week (June 23), Liz Brooke, primary care pharmacist at the PDA, said the scheme is "a great opportunity", but is "not without its imperfections". “As the role is becoming more established, we are now seeing issues raised that have not been considered ahead of its inception,” Ms Brooke added. The PDA said: "The survey will be used to develop the range of support services the [association] can provide its members working in GP practice-based situations." Click here to take the PDA’s survey. Are you feeling the pressure of the funding cuts? Have you noticed an increase in pressure at work as the funding cuts have started to 'bite'? Have you been asked to reduce your hours or increase the number of medicines use reviews? Or has a change of ownership affected your pharmacy? Share your story with C+D by emailing us at this address with the subject "pharmacy pressures". We will respect all requests for anonymity. Please include as much detail as possible. It would be helpful to include the relevant town or region. 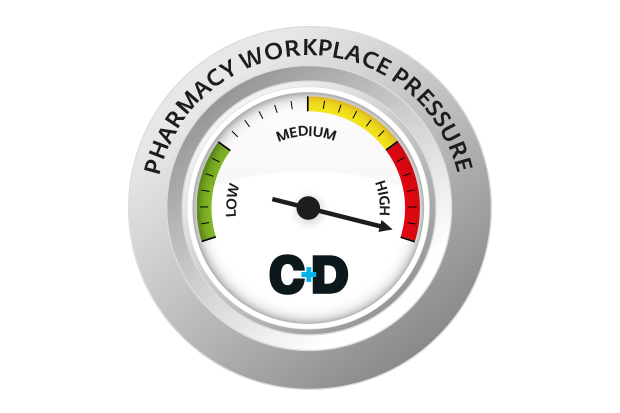 Are you a practice pharmacist experiencing unexpected pressures at work? No workplace is void of pressure. I was a community pharmacist and now working in GP practice. I love it. The GPs trust me with lots of stuff. I thrive from it. I am more confident. I take on responsibility. They throw all sorts at me. Its how you deal with it. At the end of the day i would rather deal with pressure in this sector because it allows me to excel and improve, instead of being an over qualified tablet counter churning out MURs and NMSs and selling paracetamols. I made the transition from community to GP practice and it was the best decision I made. It depends on the support you receive from your practice and the long term vision. I am fortunate as my practice wants me to develop my skills in specific therapeitics areas. I have very good support including admin time to focus on learning and development. I used to work for a big multiple pharmacy and had very little support/flexibility. I now enjoy a 5 pm finish, a lunch break without the guilt (and can leave the premises!) and yes I can also take off next weds morning off at a last minute request to see my children at their rescheduled sports day event. Life IS greener at the other end!! Pharmacists need to be careful that they don't talk themselves out of the job. If the GPs feel that the Pharmacists are not working to expected standards they can end their employment after 3 years! Too many times in recent years NHS England and CCGs have removed funding from pharmacies stating that they failed to achieve value for money. Unfortunately Pharmacists have yet to prove themselves within the health arena. This may be seen by some as a false dawn. No employer likes being accused of "almost treating Pharmacists as slaves", whatever that is meant to mean? Don't close a door on what many see as their salvation. I totally agree with all your comments. The words 'frying pan' and 'fire' spring to mind. now where have heard of this term before? Lidl are seeking store managers in some areas. The prospects seem better for graduates especially. Looks like the grass isn't greener on the other side of the fence at all. It's just as full of lumps of manure as this side. We have seen this locally where the CCG has employed prescriber pharmacist to work in GP practices locally. The GPs are expecting the pharmacists to process and sign all repeats even if it is beyond the pharmacists area of competence. These pharmacists are almost treated as slaves by the GP practices and are sked to make the unpopular changes so that the GPs can blame them! The pharmacists locally have been given little or no training and have not had good leadership from their supervisors at the CCG. These pharmacist are expensive prescription clerks! You make it sound all negative and doom. Its not like that. And nowhere near is our role to a prescription clerk!